England will play an historic first women's match against the Barbarians at Twickenham Stadium on Sunday 2 June. The game will take place on the same day as the England men’s game v the Barbarians, with KO at 12.45pm. It is only the second time that England women have played before the men at Twickenham, with most double headers happening in reverse order. England played Ireland in 2004 before the men - a match that was memorable for the controversy it stirred at the time, with neither team being given tickets to the men's game after. Fiona Steed, then Ireland's leading player, recalls the game here. 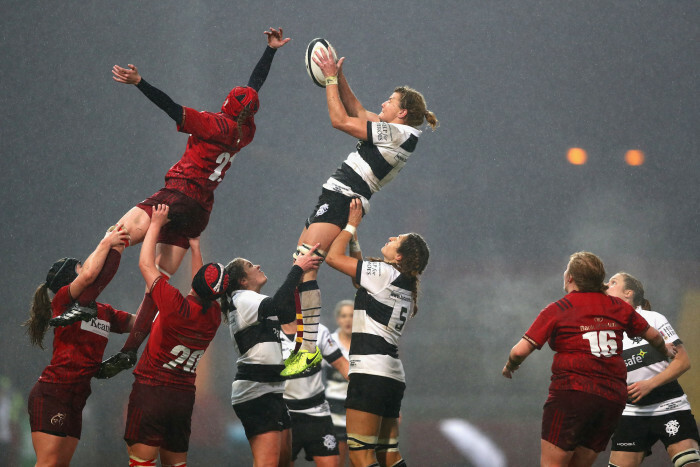 The women’s Barbarians launched in October 2017 and made winning debuts against both Munster and the Army in the 2017/18 season. The game will act as preparation ahead of England's summer tour in July. Tickets are on sale NOW with prices from £20 for adults and £10 for children. Visit www.englandrugby.com/tickets to buy.